Sometimes I just love the Internet, specifically Twitter. Lately it’s been dismal because of all that tweeting from places like bathrooms in the White House. When someone disses a genuine U.S. hero months after their death, it gets a little dismal. But then up pops an Internet coyote, and a Main Line one no less! Radnor Coyote felt they had to have a voice after Radnor Township Police issued a coyote warning, I am guessing. I am not sure if they are howling at the moon tonight or not because from my windows the moon is under cloud cover. Radnor Coyote is very witty. They are an excellent twittersationalist, so check them out! I have mentioned for years now that I have a gratitude jar. I had read about it a few years ago and it was just a simple thing to make us as human beings focus on the positives and the good things in our lives. Sometimes when a bunch of negative things happen all in a row, it’s hard to stay positive. I find it hard to stay positive because I do not think by my very nature I am naturally positive. I have to work at it. I think positive for me has been learned behavior, and it’s something I have to relearn and reaffirm again and again. Hopefully, someday it will be second nature to me. I think that’s a pretty powerful statement. In the instant gratification social media-centric world in which we live, this quote which is pretty damn old is still current, isn’t it? Lao Tzu was known as the father of Taoism. Mind you, many modern writers feel this is NOT a real person at all, but a legendary figure whose writings were actually created by many different people. And yes I got off on a tangent, so back to the gratitude jar. Having a gratitude jar is a simple reminder that life is not all bad or all difficult. Having a gratitude jar helps you focus on the things that are wonderful in your life. Even every day little things are wonderful. Having a gratitude jar helps us reaffirm the many positives in our life. Life can be hard. I am not trying to be Pollyanna and say everything is always wonderful with fuzzy caterpillars that turn into magical butterflies. I am more of a realist than that. I just think we live in a completely crazy world at times and a simple thing like a gratitude jar is a great way to keep us honest and keep us thankful and keep us grateful. Here is an old post from girls on the run on how to make a gratitude jar with your children (click on the hyperlink). Some people empty their gratitude jars on an annual basis and re-read everything at the end of the old year or beginning of the new year. I don’t do that. I intermittently check out what I have written in the past and add a new note to the jar. I don’t add notes every day. Sometimes I go quite a while without adding anything. This morning I added two notes. I will close with something I learned as a small child while attending Saint Peter’s School in Philadelphia. We used to learn songs seasonally for lack of a better description, and in the fall around harvest time or what would’ve been harvest time since we were at school in the middle of Society Hill, we used to sing a song called Simple Gifts. It was a Shaker song / hymn written by a Shaker Elder named Joseph Brackett in the 1840s. Even Yo Yo Ma has recorded a version of it. It’s a classic in my opinion and it’s very beautiful. And I am not a particularly religious person although I have my faith. The song was largely unknown outside of Shaker communities until the composer Aaron Copland used its melody for the score of Martha Graham’s ballet Appalachian Spring (Shakers once worshipped on Holy Mount, in the Appalachians), first performed in 1944.
santa will be bringing pipeline liens in pa this holiday season? sounds pretty grinch-y. Lebanon County PA: The Atlantic Sunrise natural gas pipeline is now operating through the Susquehanna Valley. But some landowners along the route in Lebanon County received an alarming legal notice in the mail this week. The pipeline runs through northern Lebanon county, where crews only left a few weeks ago. But this week, resident Deb Wolfe got a letter in the mail, claiming she was going to have a mechanic’s lien placed against her property because of a contractor that was not paid for their pipeline work. The letter explains Dykon Blasting is requesting money from Williams Transco and Welding Construction for work done on the Atlantic Sunrise through Lebanon County. The Wolfes aren’t the only property owners facing this potential headache. I only just learned about this but this is certainly food for thought with regard to Adelphia, Sunoco/Mariner East/Sunoco Logistics/Energy Transfer Partners, right? american on american terrorism is NOT o.k.! Today the news broke that someone in this country that someone is mailing pipe bombs to people like the Clintons, Obama, George Soros, and others. That is truly a WTF moment. These actions are not what the USA is about. These are not the actions of loyal Americans, but acts of domestic terrorism. These actions are horrible. I don’t care what your politics are or what political party you belong to, no one should be mailing anyone pipe bombs. I posted the New York Times article they published a couple of hours ago on my blog’s Facebook page with the sole comment of WTF. Sorry not sorry, it’s how I felt. After I posted the article, the comments started. The one person who liked the article as in liked it because it was a good thing someone was mailing pipe bomb things to high ranking Democrats, took me to task because apparently I hadn’t posted articles when some Republicans were mailed envelopes with suspicious content. Excuse the hell out of me, I didn’t know it was a domestic terrorism contest between political parties. I also had been blissfully unaware of that news report. I used to be a total news junkie. I don’t watch the news very much anymore. Ever since this administration came to Washington our country has devolved into an angry hateful nation. That is not my America. To me that is not being an American. Truthfully, I am kind of sick of both political parties at this point. The Democrats in Chester County evicted two teenage girls from the “Sunrise Movement” an event recently because they didn’t want them asking Governor Wolf environmental or pipeline questions at an event. They bought event tickets fair and square. So wrong. Of course one of the young ladies was already essentially ridiculed this summer by Wolf’s golf spike shoe wearing opponent Scott Wagner. The younger voters might not have all the life experience of an older person, but they are the ones who will be inheriting the hot mess this country is becoming. Don’t discourage involvement. People are growing apathetic enough, myself included if I am honest. The anger and rage coursing through this great nation is utterly terrifying. It has to stop. We need to get back to civility within our political system. In my humble opinion that also means we need to start systematically electing different kinds of politicians. We need to have representatives in elected office who actually represent us, not special interest groups, big donors, political party bigwigs. Since the founding of this great nation people have fought and died for our freedoms. People need to remember what it is to be an American, and part of that is the ability to embrace differences in others. We are all not supposed to be identical. We are a nation founded by immigrants, and those people risked their lives to come here to escape political persecution, religious persecution, etc. We need to stop the anger. We need to stop the violence. We need to just hit the pause button even in our own individual lives to be appreciative for the gifts we have been given by God. Do something nice for a change. Turn off the political vitriol. 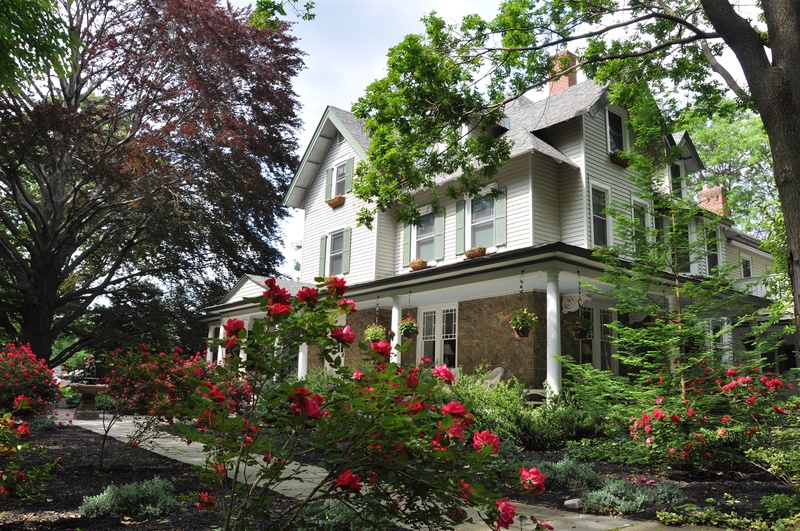 are you ready for the best tredyffrin historic preservation trust house tour yet? I love old and historic house tours almost as much as I love garden tours. And my friend Pattye Benson, proprietress of the Great Valley House of Valley Forge is also President of the Tredyffrin Historic Preservation Trust. 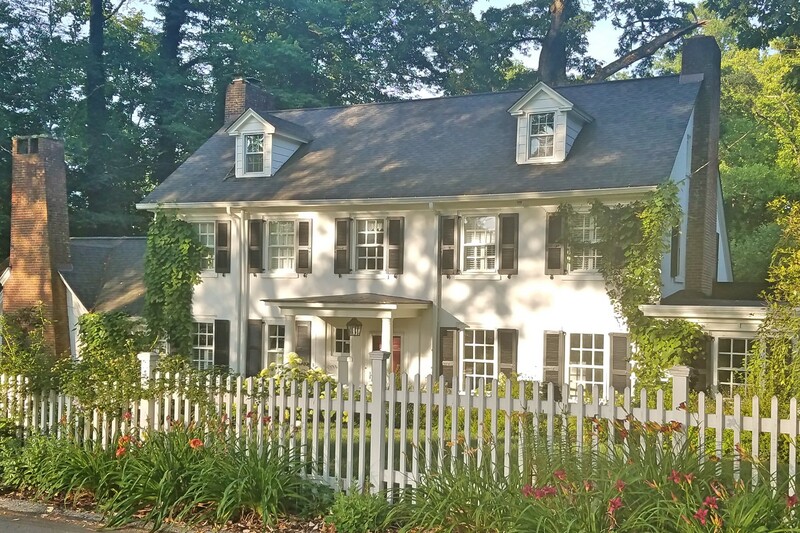 She also is the woman who makes the Tredyffrin Historic Preservation Trust Historic House Tour come to life year after year. Every year is better than the year before, and not one year has disappointed. My husband and I are Patron Sponsors of the tour, and proudly so. Travel back in time this year on Saturday September 29, 2018 from 10 AM to 5 PM. If you love history and architecture, you will not want to miss the much-anticipated 14th Annual Historic House Tour. 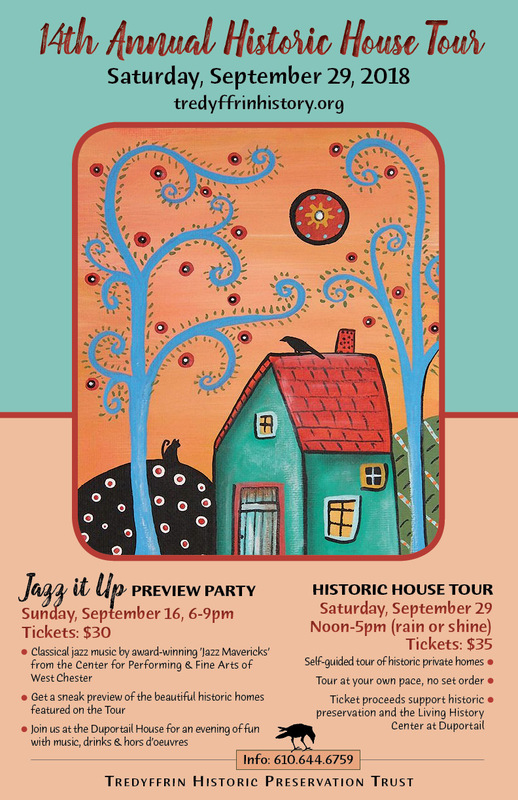 To celebrate historic preservation, the public is invited to attend ’Jazz it Up’ the 14th Annual Historic House Tour Preview Party on Sunday, September 16, 6 PM – 9 PM at the historic Duportail House in Chesterbrook. An evening of fun with live music, food and drinks, join us to celebrate the homeowners and the homes featured on the tour. Classical jazz music provided by the award-winning ’Jazz Mavericks’ from the Center for Performing & Fine Arts of West Chester. In addition to the historic homeowners, the preview party is a lovely thank you thank the generous individual and corporate sponsors who make the annual tour possible. Attendees also get a sneak preview of the beautiful homes featured on the 14th Annual Historic House Tour! The annual historic house tour would not be possible without the generosity of individual and corporate sponsors. Click 2018 House Tour Sponsor Packet for information about how you can be a sponsor and receive complimentary tickets to the house tour and the preview party. NOTE: Tickets for the Preview Party and/or the 14th Annual Historic House Tour are nonrefundable. 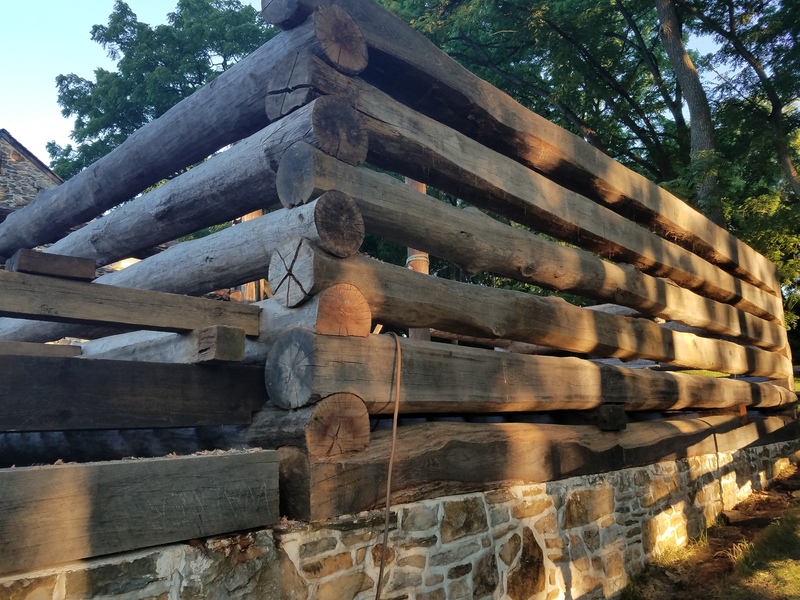 The Tredyffrin Historic Preservation Trust is a small nonprofit 501c3 organization and your ticket purchase is tax-deductible as the government allows. You will receive a confirmation (via email) of your house tour ticket(s) purchase prior to the house tour day. 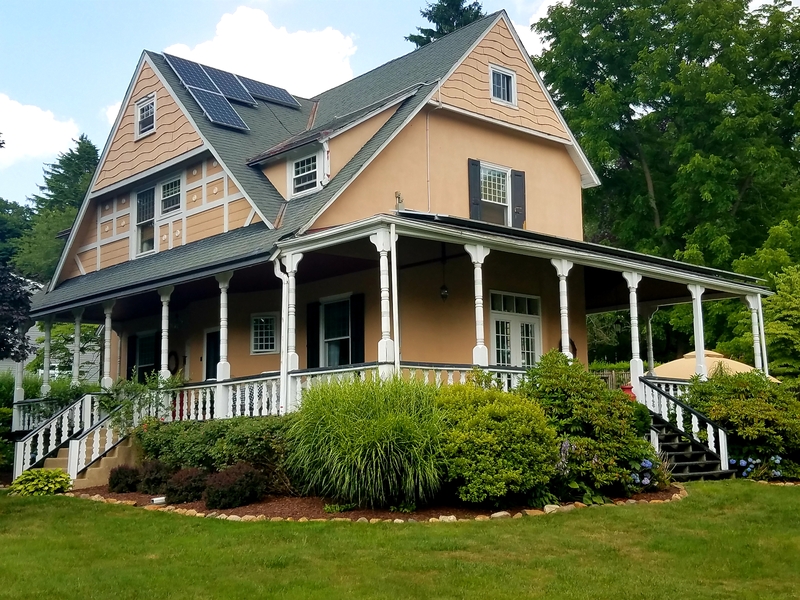 The house tour ticket pick-up location for 2017 is Tredyffrin Library, 582 Upper Gulph Road, Strafford, PA, starting at 11 AM on Saturday, Sept. 23.